As a proud member of Penske Automotive Group, we are dedicated to serving all of your automotive needs and providing the best customer experience possible. 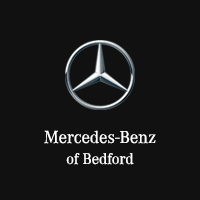 At Mercedes-Benz of Bedford, we’re here to help you on your journey of owning the luxury car of your dreams. Whether it be a new Mercedes-Benz or one of our certified pre-owned vehicles, we know you’ll find just what you’re looking for in our inventory. Our dealership is located at 18122 Rockside Road in Bedford, OH, where we regularly serve drivers from Beachwood, Cleveland, Lakewood, and Solon. If you’re in the market for a new vehicle, take a spin in one of our C-Class, E-Class, S-Class, CLA models, our whatever new model suits your tastes. In addition to the newest and finest models available from Mercedes-Benz, our certified pre-owned inventory is vast. All of our CPO vehicles are backed by a 1-year unlimited mile warranty with the option for an extended vehicle so you can drive confidently off of our lot. We strive to make the financing process as easy as possible, which is why our in-house finance department offers competitive interest rates on new and pre-owned inventory as well as a number of exciting lease specials that are always changing. You can even begin online by starting our finance application. Trust that your vehicle is in the best hands possible when you bring it in for repairs at Mercedes-Benz of Bedford. Our factory trained technicians are experts at servicing your vehicle, so you know all maintenance is done competently and efficiently. We only use factory parts and Mercedes-Benz approved tires to repair your vehicle, so quality is never a question. Give us a call at (440) 359-6821 to speak to one of our friendly staff members about our inventory or available services. You can always contact us online should you have any questions, and we’ll get back to you as soon as possible. We look forward to assisting you in your Mercedes-Benz experience!